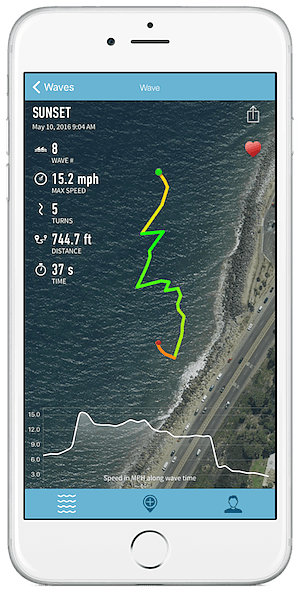 Why make a surf tracking app? I have had a few people ask me why I would make this app. Well, the answer is a simple one with some side notes. I believe in what Tim Ferriss and Ru Hill (from Surf Simply) believe. That is that when you start keeping logs of things (data gathering) you start to change behaviors. Tim found it true for his weight loss in the Four Hour Body and Ru has started his research on this by simply stating that humans naturally want to get more data in our brains. This data (in this case surf sessions) helps us learn. I decided that taking it a bit farther would be cool. That is to say really tracking what we do in the water as surfers is interesting. I want to know how many waves I catch, how fast they are, how long the rides are (when I longboard), etc. That makes the experience more fun for me. Maybe I am a bit of a data nerd. I guess by even creating this app, I have to admit my nerdy tendencies hahah. So, in creating this app, I have found that started to take note of how my take off looks on the graph. That’s a biggie. It also directly impacts my ride quality and length. Depending on the wave shape, if I angle a little bit more I can get right into the face of the wave and just cruise down the line. On beach breaks, I know I need to push harder on the rails to really engage and escape the lip that is clearly preventing me from getting more distance. However, what’s been rad is that I get to see how fast I go. In one instance I went around 20 mph. That’s pretty darn quick. I remember that wave! I marked it as a favorite in the app, and actually created the favorite button specifically because of that. However, I need to do more and that’s what is going to be fun. Being able to see how many waves you catch per hour is good info to have. The more you catch, the better you’re getting. Once we start linking that with tide data and surf forecasts, things are going to get super cool.